– Preheat the oven 220 Celsius and put a bacon in. – Mix garlic,onion,tomato,fish sauce, lemon juice,honey,spring onion, mint leaf in the bowl and leave it while frying the eggs. – Fry the eggs as how you like it. This is the method which I prefer for this recipe. – Put the vegetable oil in the pan , turn the hob to high heat. When the oil started to bubble up( champagne like), carefully crack an egg into the oil, spoon the hot oil on the egg white to create the golden crispy edge. Transfer the fried egg on the serving plate. Repeat the same method with the second egg. – Cut the bacon in small strips and lay it on the fried eggs. Then follow by the carrot and avocado. Scoop 2-3 tablespoon of mixed salad dressing and drizzle on top of all the ingredients.Garnish with a few leafs of coriander. 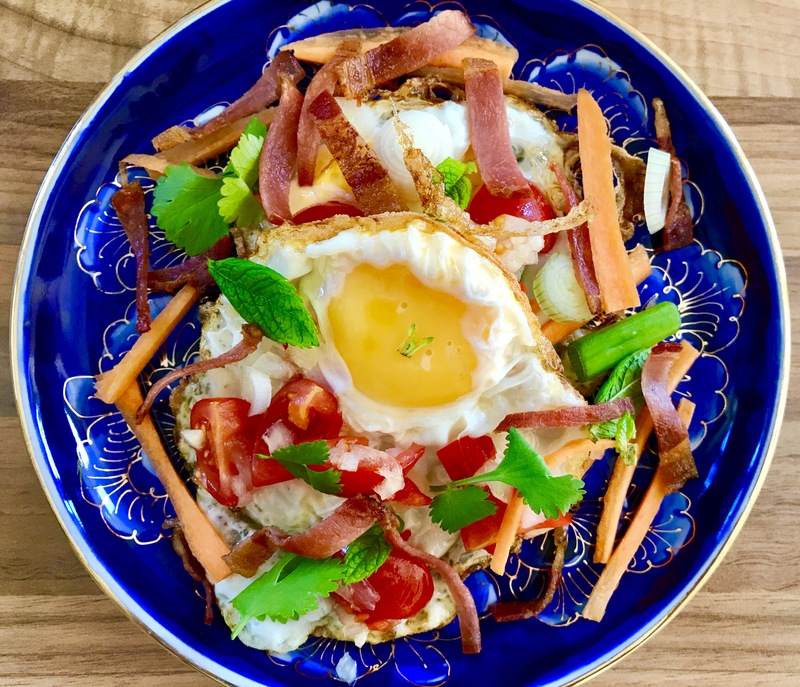 – That is it Fried Egg And Bacon Breakfast Salad is served. 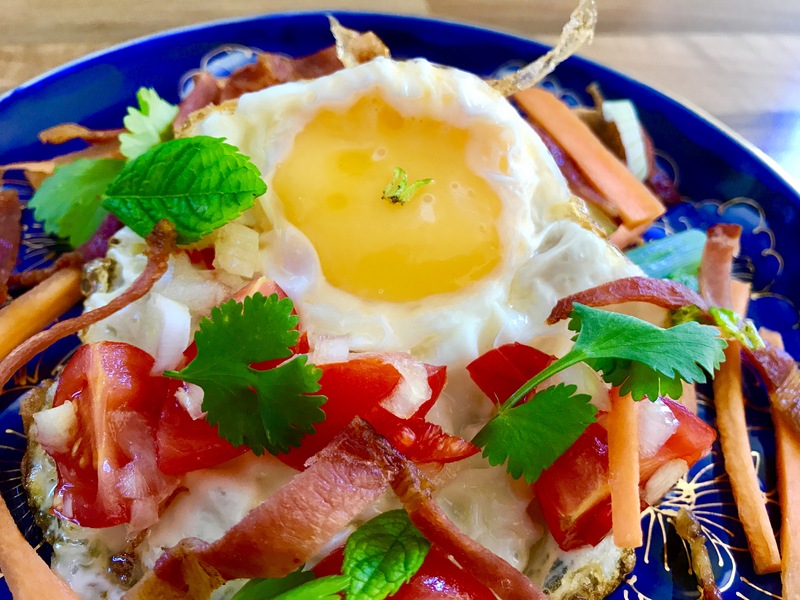 You can use the versatil dressing from Fried Egg And Bacon Breakfast Salad recipes for other type of dishes ( Laab, spicy Thai salad etc.) It is also great as a dipping sauce for fish or chicken. Feel free to put a bit more chilli ,if you would prefer a hotter dish.